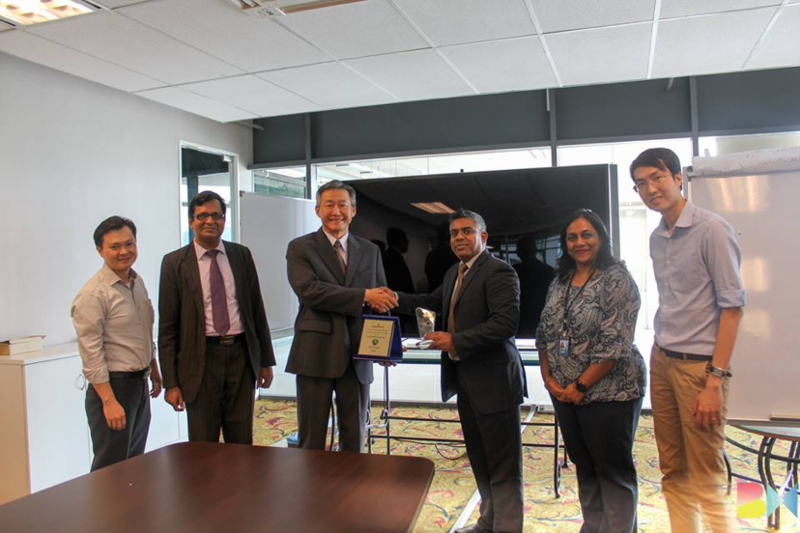 Asia Pacific University of Technology & Innovation (APU) and Semtech Corporation are partnering in the research of LoRa technology. The collaboration announcement ceremony was held earlier at APU, where the gift was presented and exchanged by Prof. Dr. Ir. Vinesh Thiruchelvam, Dean Faculty of Computing, Engineering and Technology of APU and Mr. Kenny Pai, Sales Vice President (Asia) of Semtech Corporation. LoRa is a low-power, long-range wide area network (LPWAN) technology that is designed to meet the demands of Internet of Things (IoT) applications and services by connecting devices such as sensors over a wide area. This collaboration strategically positions APU as the first smart campus in Malaysia connected with a campus-wide LoRa network. As part of this partnership, Semtech will support APU in the LoRa technology by providing the LoRa gateway, the technical training and support for LoRa technology.